Primarily, this week we have a special edition of Meet the Team with our very own CEO, Liz Moore! We asked Liz Moore some questions that we thought would be helpful to your wedding and get to know who you are booking with a little bit better! Furthermore, if you want to leave a comment for Liz Moore about herself or a destination wedding service, leave it in a comment on one of our social pages! We love to hear your thoughts! Well here we go, our Liz Moore Liz Moore Destination Weddings. When I started my first travel agency I specialized in honeymoon travel. Over a two year period I started to see a real increase in destination wedding requests. Therefore, my passion for working on destination weddings grew as I travelled more and began to learn about all the extensive wedding planning that was offered at properties worldwide. Without doubt it would be in Mexico. Puerto Vallarta is my favourite area of Mexico. 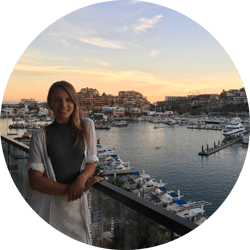 When it comes to my favourite resort, it would be a hard toss up between Secrets Vallarta, Iberostar Vallarta, Barcelo Vallarta and the new Fiesta Americana Puerto Vallarta Adults only. First and foremost work with a dedicated destination wedding travel expert. They will not only save you and your group money, but extensive time in helping you find your perfect property. Therefore, helping your guests in an easy smooth travel booking process. DIY wedding planning. This is the one time doing it yourself will most likely cost you more money, more time and a lot more frustration in the planning process. Moreover, there are a ton of parameters in group travel planning that putting it in a travel experts hands will save you time, money and allot of grief. Importantly, now you have a little insight from our very own CEO, Liz Moore Liz Moore Destination Weddings! If you have personally dealt with Liz Moore or have feedback you want to give to her, write a comment on our social media pages. Furthermore, we would love to hear what you think!